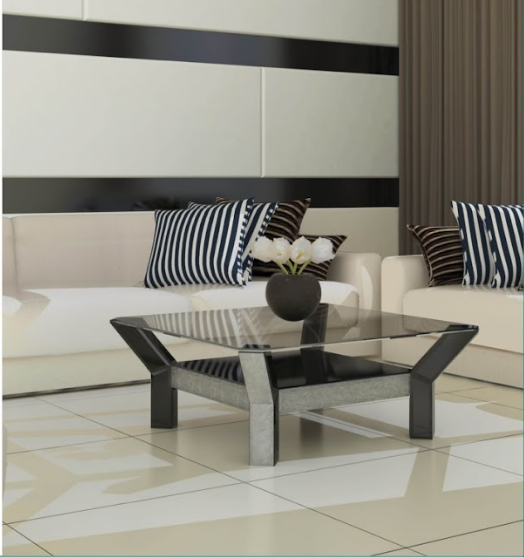 Modern Furniture offers stunning mirrored coffee tables which are available in a wide variety of finishes and shapes. Our beautiful mirrored living room tables offer a fantastic solution which will add luxury and sparkle to your home. We offer different custom made finishes of antique mirror and regular or colored mirror for coffee table. Our clear mirrored glass tables offer a classic luxury which will fit into almost any living room. Our bronze and grey mirrored finishes will work cohesively with popular light fittings for a contemporary design solution. We can provide you with the samples of antique mirror before placing the order, so you’ll see the actual finish of your table. Our designers created a big collection of mirrored tables, where you can see the combinations of glass and mirror, regular mirror with antique one and blend of antique mirror finishes. As we manufacture our mirrored coffee tables, we can offer made to measure solutions including very large coffee tables as required. Just contact with your requirements.